QUESTION: My daughter will be 23 in February and will graduate with her degree from the University of Toronto in April of this year. Communication with the other parent is nonexistent. I have never missed a support payment under my court order. The court order did not state any final end date for my Canadian child support. I pay directly to the Family Responsibility Office. They advise me that they will continue to deduct payments from my pay cheque until they have a new court order instructing them to stop child support deductions. Is this correct? 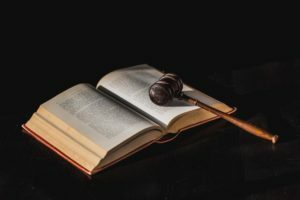 Do I need to go to court yet again to stop child support in Canada? ANSWER: I see a new case like this almost every month. Unfortunately, it is a very common Canadian child support situation. The Family Responsibility Office is simply an enforcement agency – they enforce whatever court Ontario child support order is in effect. To change your child support, you do need an agreement with the other parent, or a new court order. Child support in Canada normally ends when a child finishes her first degree, so the timing is right. I’d start by trying to negotiate something with the other parent to end Ontario child support. Do this in writing so that you have a paper trail. If you need to take legal action, this will help in trying to recover your legal costs from the other parent. If you can’t reach an agreement with the other parent by the end of April, start legal action quickly to end child support. Courts in Canada generally do not change child support retroactively to a date before you initially requested it. It is also rare that a court orders a person to repay child support incorrectly received.